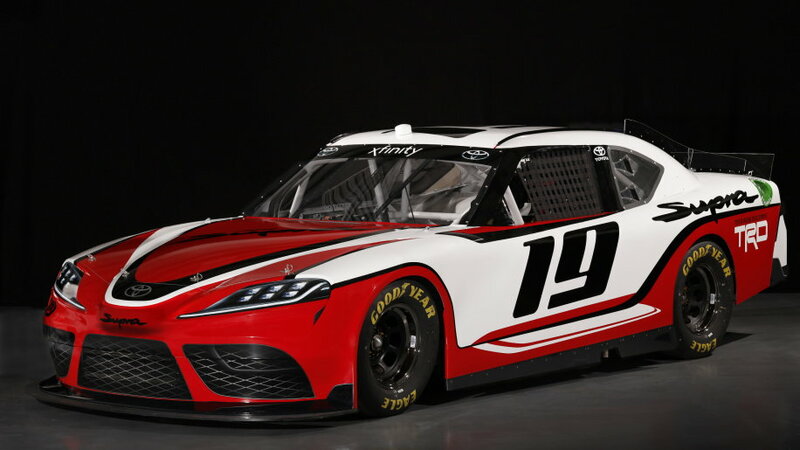 Like with all NASCAR models, the Supra bears only a slight resemblance to the upcoming production car. It's really just a spec race car dressed up in a Supra suit, sharing far more parts with the Ford Mustangs and Chevy Camaros than with any road-going Toyota. All Xfinity Series cars use carbureted 5.8-liter V8s and tube-frame chassis. slight resemblance? how about no resemblance visually or mechanically. shares more parts with mustangs and camaros? Rumors on Supra forums is that an Iron Block Inline 6 will be in new Supra. This comes from ppl with inside info. Not liking anything thus far. It has a pointy, Alfa Romeo nose and an over-chiseled, 3/4 scale rear flanks- none of which resemble any past Supra. The Supra body has always been a fully-grown, full-bodied affair. This looks like a 3/4 baked car, in the same class as older Z4 or something smaller. I saw an internal document that referenced B58B30 which is the current BMW 340i engine. and also BMW's current 2.0L 4 cylinder engine in the lower model. They're basically getting BMW's current 4 and 6 turbos. nothing more nothing less. i'd honestly consider one.. depending on how much it is. 45k/55k seems to be the sweet spot. For 4/6 cylinders. BTW it's interesting how little faith Lexus/Toyota seems to have in their 8AR engine. They already have a 4-turbo and yet they're just sourcing from BMW. both Turbo 4 engines are supposed to directly compete and are both current. Why is the iron block so special? You're one of our resident BMW guys. What do you think? Do you believe the new Supra will be had in only BMW 4 and 6 cylinder engines? That a new Iron Block is on it's way? Maybe to be an option or replace the BMW 6 in the future? Curious what your take is on these rumors. Iron blocks are strong, my MKIV Supra makes 806 HP at rear wheels on stock iron block that's around 927 HP at the crank. I have oem rods, pistons and mains. It can take a beating and keep humming along vs say Aluminum block. Longevity. Of course since cars are leased more and more these days, the number of cars reaching 250-300k miles is less and less. Not to say an aluminum block can't last long. The 2JZ-GE/GTE is a legend because one could essentially put a bullet in it and it would still run. Aluminum has weight savings but for long term on a boosted engine Iron block is better.